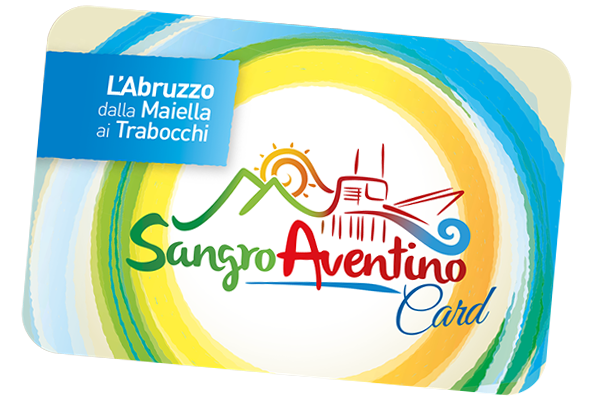 What is the SANGRO AVENTINO CARD? The Sangro Aventino Card will take you to discover the treasures of a stretch of Abruzzo rich in history, culture, nature and traditions. Immerse yourself in a swirl of emotions and go discover the Sangro Aventino. The Card is personal and the discount applies exclusively to the owners. The benefits provided by the card cannot be combined with other discounts. The issuing company is not liable to the relations between the user and the partners of the circuit. The Società Consortile s.r.l. Sangro Aventino is not responsible for the quality of the products and/or services of partner companies or of their failure to provide them. The User is invited to notify the Issuer of any problem encountered in dealing with the structures to allow the improvement of the offer. The Card is free of charge and you can get it after a visit at one of the sites of the circuit, after shopping at one of the partner shops, by staying in a partner hotel or by going to any of the Tourist Information Offices in the area.